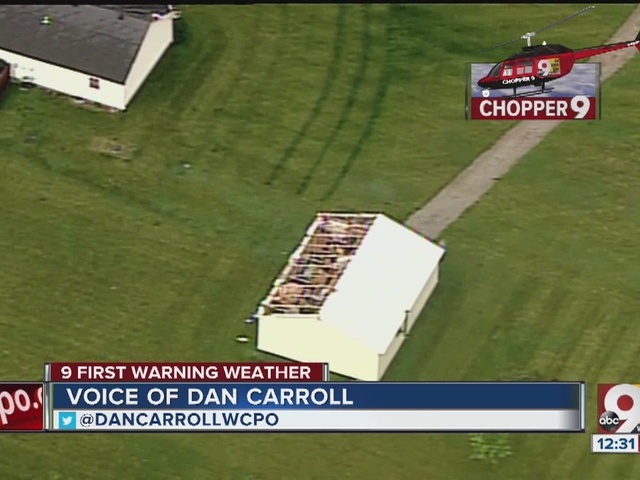 NWS: Tornado touched down in Clinton County at 3 a.m. The National Weather Service confirmed that a tornado touched down in Clinton County Thursday at around 3:12 a.m. The maximum wind speed of the tornado is estimated to have been at least 80 miles per hour. No one was injured or killed in the tornado. 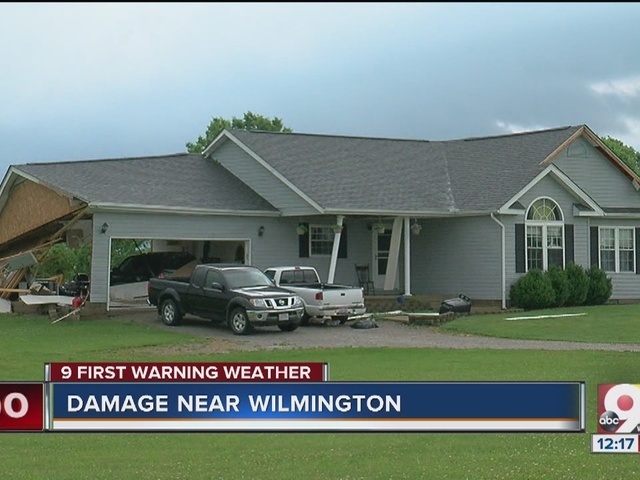 The tornado touched down about three miles southwest of Wilmington, NWS said. 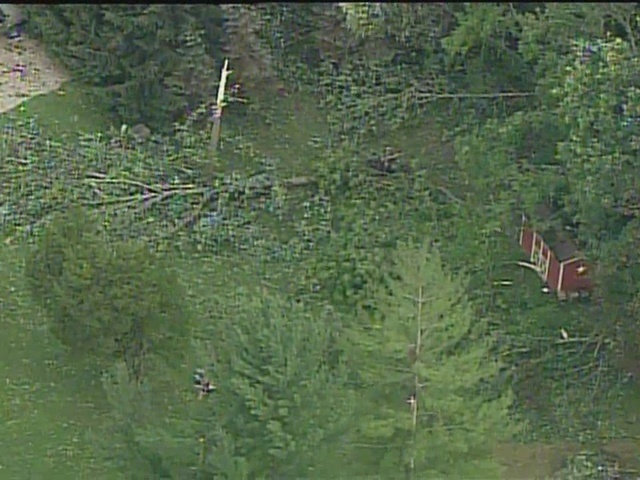 The widespread damage was due to very strong winds -- straight line winds -- and tornado damage. The area is still being surveyed for further damage. Portions of Warren and western Clinton County were hit especially hard by storms around 3 a.m. Check out damage photos taken by 9 On Your Sides Jordan Burgess from around the county. 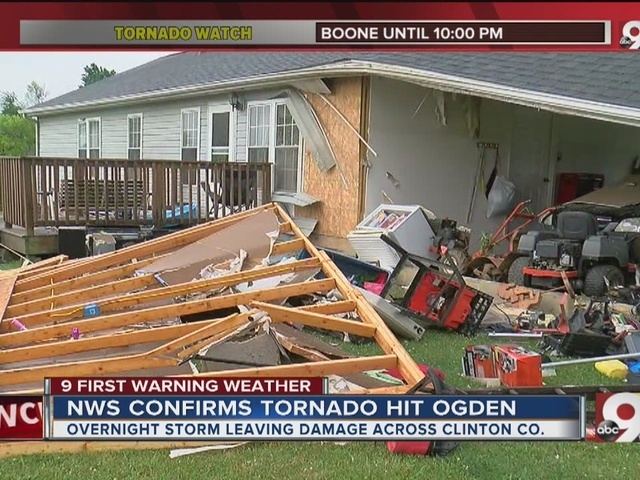 The NWS issued tornado warnings for this area around 3:15 a.m. At one point, meteorologist at the NWS specifically said it was "highly likely that a tornado is on the ground, crossing into Clinton County." Those same meteorologists then had to take shelter as the storm moved over their office. The 9 First Warning Weather team was on the air before the tornado even formed and followed the storm closely. Before 6 a.m., the NWS had already decided to conduct a storm survey. This means meteorologist from the office will go look at storm damage and look for specific markers that would tell them if it was a tornado. If they don't see that, then it will be ruled a damaging wind event. A public statement will be release this afternoon, so we should find out in a few, short hours. through the area this morning. A tornado was also onfirmed near Washington Courthouse, Ohio, in Fayette County; the National Weather Service said the tornado touched down at 3:25 a.m.